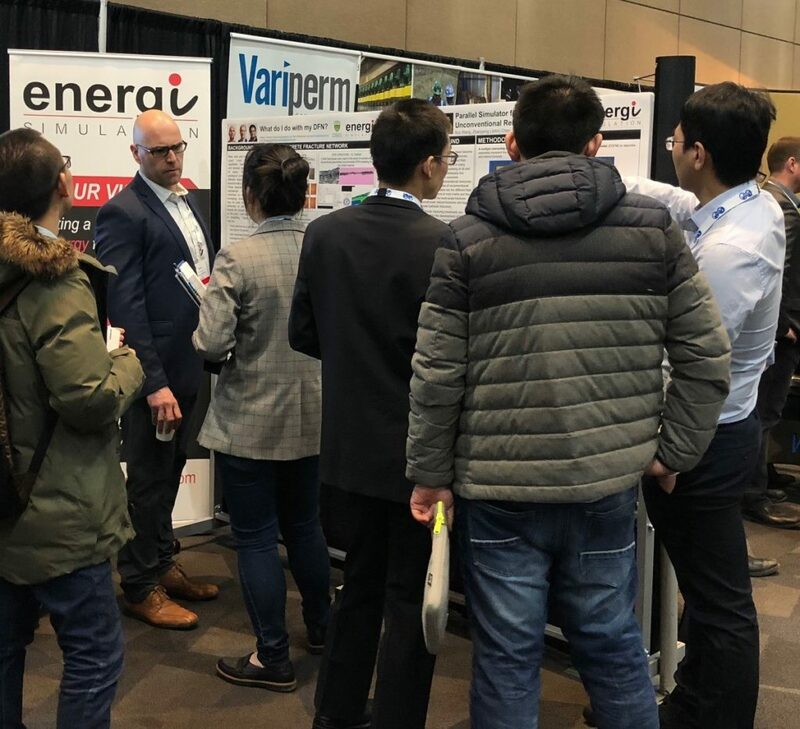 SPE Canada Unconventional Resources Conference provided us a platform to share and discuss the most advanced technology in unconventional resources production with people from industry and academia. This two-day event had over 40 excellent presentations on various topics in unconventional resources. I am glad to see that the researchers addressed some of the challenging issues and that people attach increasing importance to the development of unconventional reservoirs. We are grateful that Energi Simulation hosted an exhibition booth that gave us an opportunity to show our latest development of reservoir simulators, particularly for unconventional reservoirs. A lot of conference attendees showed great interests and gave high praise to our fluid flow models and simulator for unconventional reservoirs with multi-scale fractures. We believe that our research work is able to provide a more accurate tool for simulation and benefit the industry. Through discussions with the attendees who have the similar concerns and research interests, we not only had the opportunity to present our results and show our expertise, but also learned new ideas to improve our current work. We are also very glad to see that more people begin to appreciate the research chair programs of Energi Simulation and how these programs benefit industry and academia. It is our honour to be part of the exhibition booth and be part of Energi Simulation. We are looking forward to future participation in other events of Energi Simulation.